The red check Fruit Basket is guaranteed to engender smiles from passerbys and make your heart full! 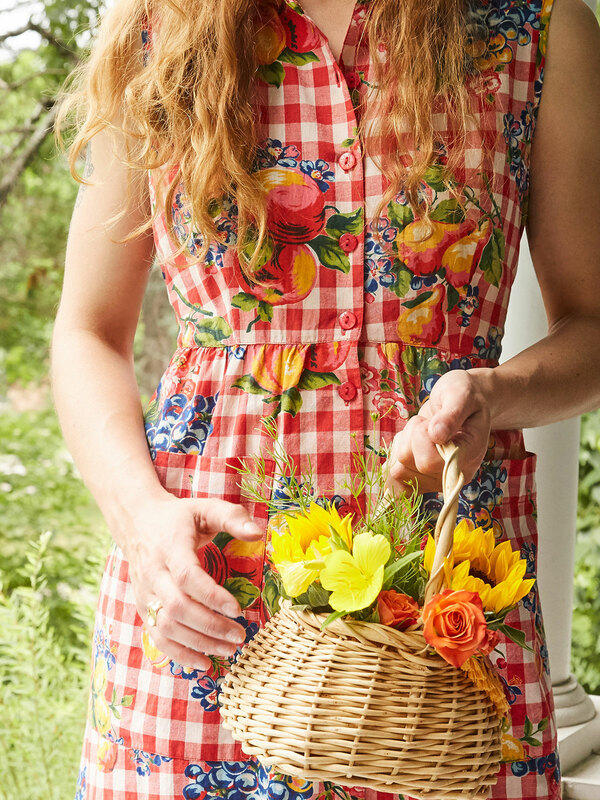 I'm smitten by the joyous energy exuded by such vibrant color, and I think it's wonderfully expressed in our classic summer sundress. What perfect summer style! 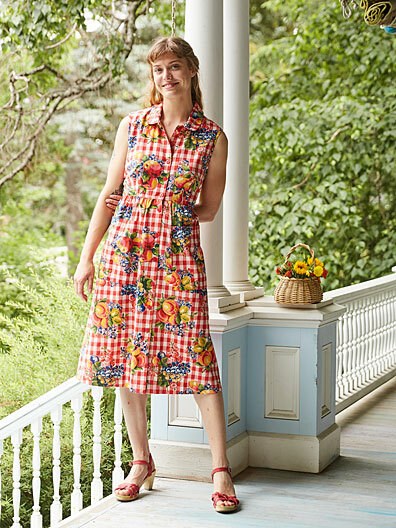 I love my porch dress with a straw sun hat. The vintage look is perfect. I ordered a W1, and the fit was perfect. Although normally I don't wear sleeveless styles, this dress is quite flattering. This dress is comfortable, ladylike and sweet. I live in the country and wear this at home while picking berries, pulling weeds, enjoying my flowers. Love it! The bust 40" was too large for a small dress. Love this dress, lite, airy & very comfortable. Many compliments given about the dress! This dress was as nice on me as in the picture. 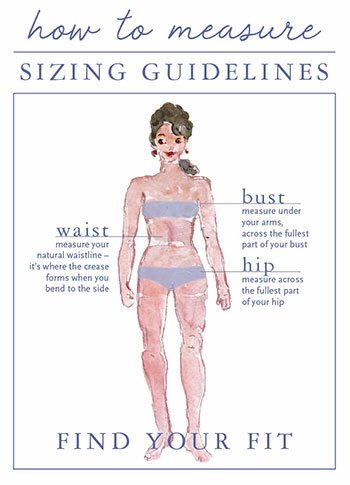 I really appreciate the ties at the waist, which will save me the cost of alterations, as I have a small waist and often have to have dresses altered. The fabric is beautiful and a good weight. Unfortunately, the first time I washed it, it got caught in something else in the wash which tore some holes in it. So I would say be careful and really treat it as delicate cycle. I am going to try to patch the holes and still wear this. I love it! Its sweet, old fashioned and definitely everything summer. I love April's porch dresses and pretty much live in those all spring and summer. This one just sweetens the collection. Its very pretty in person and the fit is perfect and true to size. This dress is truly one of a kind. I live in Arizona, so I have already be able to wear it. I was at the grocery store and got at least 8 compliments. It's fit is true to size and that fabric is just beautiful.